Sharron McPherson is Executive Chair at WEDI International. 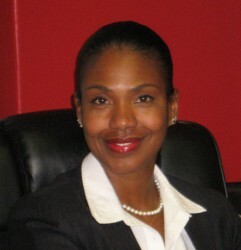 Prior to founding WEDI she was CEO of Tanaka Investments South Africa. She also worked for Mettle Merchant Bank in Johannesburg and as a Wall Street attorney, having begun her legal career at Cleary, Gottlieb, Steen & Hamilton, one of Wall Street’s most reputable and successful law firms. During her time as a Wall Street attorney, she founded the non-profit organisation ISES, which subsequently grew into one of the leading international privately-funded grassroots research organization committed to women’s enterprise development.